We specialize in Computer accessories wholesale or drop shipping. We do our best to make our customers to enjoy a carefree buying experience. Main product: Window 7 pro / ultimate / Home Premuim software key sticker COA license label. 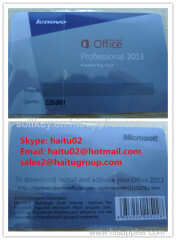 Office 2010 pro/ office 2007 pro software key coa label license. Add skyp haitu02 to learn more about this product.